We are a team of talented design professionals offering particular expertise in the design, restoration, and new construction of sacred buildings, worship spaces, and liturgical furnishings. Our services support the communal, educational, and sacramental life of the Church. Through commitment and collaboration, we bring the diverse skills of our staff to bear on each project. Integration Design Group was founded in 2006 with the mission to serve churches, religious organizations, and other community-based non-profit groups. Our team appreciates the challenging aspects of capital improvement projects that support the good work of these organizations. Relationships matter. We believe that working with the design professionals at Integration Design Group should be enjoyable, meaningful, and fruitful. We invite you to learn more about the skills and background of each of our team members below. Adam is currently a registered Architect in Colorado, Kansas, North Dakota, South Dakota, and New Mexico, and he served on the Real Estate Advisory Committee for the Roman Catholic Archdiocese of Denver from 2010 through 2016. In addition to leading Integration Design Group, Adam has taught graduate-level design courses at the University of Colorado College of Architecture & Planning, and lectured at local parishes on Sacred Architecture in the Catholic Tradition. Adam and his wife have been blessed with six children. They are active parishioners at Immaculate Heart of Mary Catholic Church in Northglenn, Colorado. Adam enjoys the bountiful opportunities for outdoor recreation in Colorado including frequent camping and hiking trips with his family. Michelle addresses the client’s needs first and foremost through the course of each project. Her commitment to serve others is evident in the way she leads each project forward. A proud native of Louisiana, Michelle graduated from and received her professional degree in Architecture from Louisiana Tech University and has worked on a diverse range of local projects in Colorado as well as international projects for religious groups. 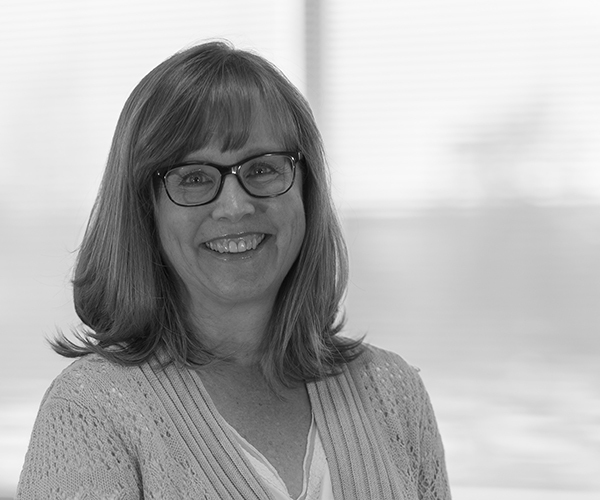 Since joining Integration Design Group in 2012, Michelle has managed projects ranging from small chapel remodels to multi-phased parish renovation projects. Clients have consistently commented on how much they enjoy working with Michelle and have appreciated her leadership as well as the level of careful consideration she brings to the design and construction process. John is an experienced project architect, brining great attention to detail and careful management of the design process to each project. Having completed projects on various scales – from custom homes, to church remodels to golf clubhouses and other high-end facilities – John emphasizes the art of well-considered details to create the finishing touches on each design. He also possesses a broad knowledge of the construction process which serves the client well from start to finish. A native of Wyoming, John received his professional degree in Architecture from Montana State University and has worked in Montana, California, and Colorado. John is currently a registered Architect in the state of Colorado, an avid outdoorsman, and an active member of his parish at St. Thomas More in the Denver area. 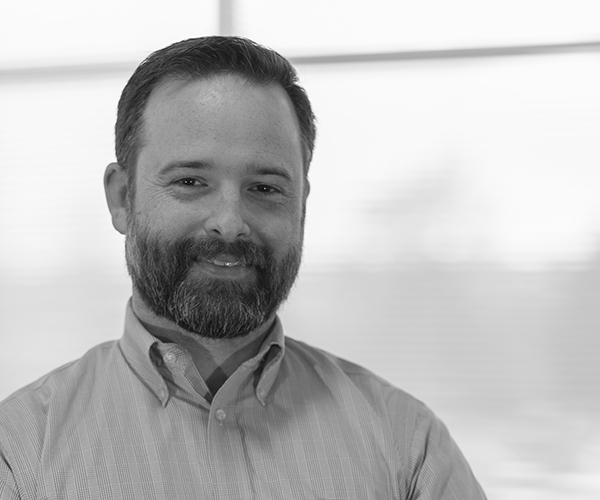 Dale is a registered Architect in Colorado and joined Integration Design Group in 2018. He brings extensive experience in planning and development projects as large as $60M in construction scope. His passion lies in assisting with meaningful work that impacts the lives of others – regardless of scale or project type. A native of Kansas City, Missouri, Dale has lived and worked in Louisiana, Michigan, and Colorado. He is a husband and father to four wonderful children. He volunteers in his church community on a regular basis. Dale has been a leader in the workplace – mentoring junior staff and improving the level of product delivered to the client. He has a proven ability to bring each project’s vision to fruition. Paul holds a bachelor’s degree in Computer Science. His professional experience ranges across several business and not-for-profit sectors in which he provided such services as large and small-scale IT system administration, property research, industrial software programming, and web design. A desire to serve the True, Good, and Beautiful drives Paul’s aspirations, and this led to Integration Design Group welcoming him to its staff in 2013. Paul assists with project management, drafting and design, and acts as IT manager. His responsibilities include internal team coordination and information management. In addition to project related support, Paul managed the firm’s shift from 2D drafting to 3D building information modeling, and executed design, construction, and IT infrastructure build-out for the firm’s current office. Summer brings a passionate attitude to every project she is involved with. Her attention to detail and level of commitment are apparent from the start of design through to the final stages of project completion. Prior to joining Integration Design Group in 2015, Summer worked on a multitude of projects, spanning several project types. Her portfolio includes work for Denver Public Schools, Boulder Valley School District, the Archdiocese of Denver, and Lennar Multifamily. With over 10 years of managing projects that include everything from addition/renovation to multi-building complexes, her versatility as a designer and project manager makes her a valuable addition to the team. Raised in north Texas, Summer received her degree in Environmental Design from Texas A&M University and relocated to Colorado shortly after graduating. Summer is currently a registered Architect in the state of Colorado. Wanting to work for a greater purpose and engage his design skills, Colin followed his passion toward a career change in Architecture. Since joining Integration Design Group in 2017, he has served as project coordinator and lead draftsman on key projects within the firm. Colin is eager to assist in the design and construction of beautiful buildings as he pursues the training and experience necessary to become a registered Architect. As project assistant, he provides design support, consultants coordination and other tasks where needed. Colin assists with managing multiple projects as well as aiding in the team’s drafting responsibilities. He is currently becoming fluent in 3D building information modeling software and strengthening his role as designer within the office. Joni Sanderson has acquired an extensive range of residential and commercial design experience – from schools to retail spaces, restaurants, corporate offices & historic projects, and the design of sacred spaces. Through her knowledge in programming, space planning, design, color and finish coordination, Joni brings and keen attention to detail to every task. She has expertise in specialty lighting, furniture and art specification, and project management. Joni’s skills, and the way she employs them on behalf of each client, ensure inspiring, unified and functional interior environments. Joni is focused on getting things right, and she possesses a discerning balance between the design vision and construction demands; all while considering the necessities of the budget and timeline of a project. Outside of her passion for design, Joni enjoys spending time with her family in the glorious mountains of Colorado, hiking, skiing, reading and marveling at the numerous stars that are multiplied and magnified in the absence of city lights. Joining IDG in 2017, JohnPaul has focused his career in the design of church and faith based facilities. As a Project Manager, JohnPaul is integrally involved in the project from the initial phase of planning and design, through construction documents and construction administration. Before joining IDG in 2017, JohnPaul worked with GFF in Dallas, TX where he found his calling to practice religious architecture. Projects ranging from small 500 seat wood framed churches to extensive 2,000 seat worship venues. Mr. Barrandey holds an AAS in Industrial Design Technology and a Master in Architecture from Texas Tech University. He has been a software and design communication instructor at Texas Tech University and has a pending publication to the US Library of Congress Special Collections Division for his historic preservation work with the Ellis Pecan Factory in Fort Worth, TX. 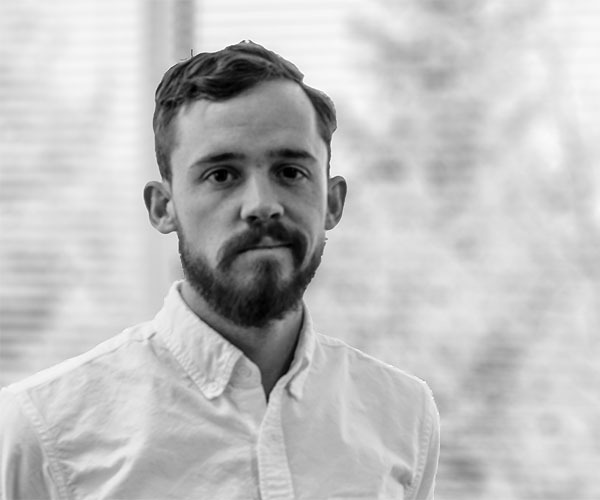 Originally from the great state of Texas, Alexander found his love for the built environment where the human experience of architecture converges with the art of construction and craft. His intrigue and wonder into the many forms of Beauty led him to joining Integration Design Group in 2018 where he offers his skills in design and drafting. He received a Bachelor of Environmental Design from Texas A&M University and then went on to pursue his professional degree in Architecture from Tulane University. His studies culminated in a thesis advocating for the dignity of the men and women who construct our environment through the different talents and skills that they possess. Alexander moved to Denver as a missionary to the homeless prior to beginning his work at Integration Design Group. He continues to serve the poor in Denver while also putting his hands to work learning and studying different crafts and trades, exploring the beauty of creation, and immersing himself in the visual and musical arts. 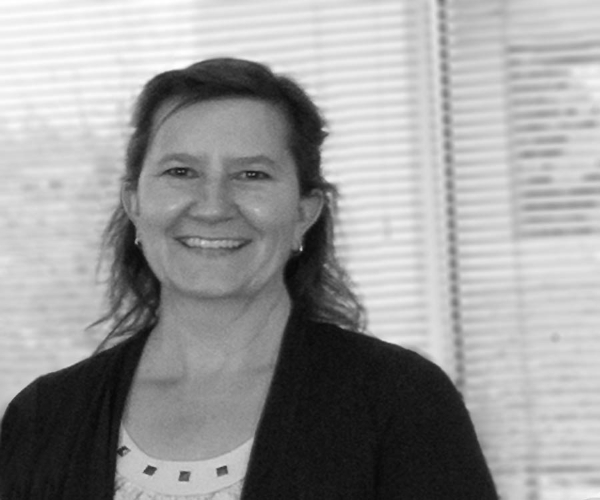 Maria supports the work of the firm in her role as Office Manager. She assists with a variety of tasks, most of which involve keeping the professional staff on track and on task – and planning all the fun stuff as well! An native of New York, she enjoys time with her husband and family.